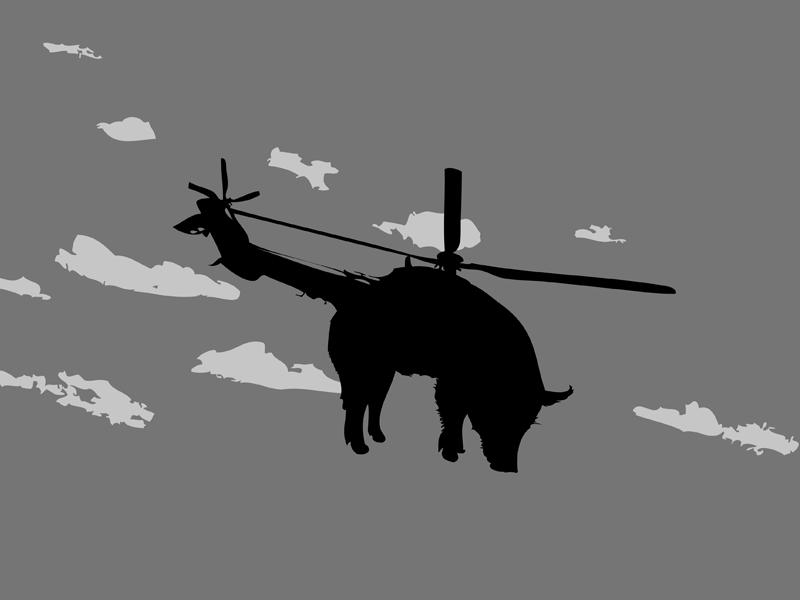 These were some fun T-Shirts I designed for a Threadless contest a while back. 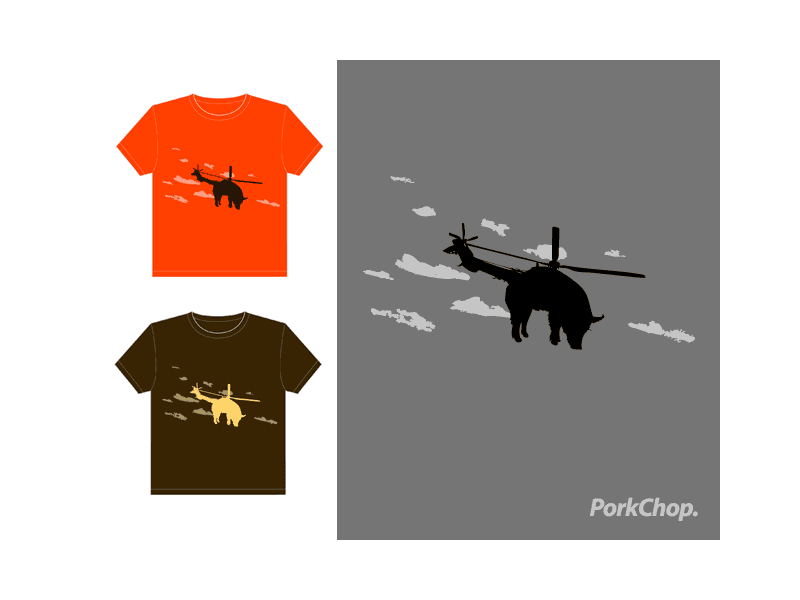 The theme of this shirt is “porkchop” which is a play on words for a pig chopper, aka Police Helicopter. It also just looks weird and intriguing in a novel way. The original color scheme was simple, grayscale only – but other variations were also added.